Vladimir Putin managed to keep a straight face. The former head of the spy agency of the Russian communist regime even succeeded in looking vaguely reverential as he welcomed a delegation of 20 bearded, black-robed monks bearing a fertility charm. It was a belt said to have been woven out of camel hair by the Virgin Mary herself. 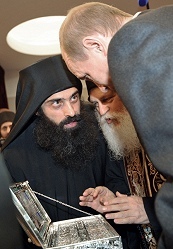 The Greek Orthodox monks arrived at St. Petersburg airport on October 20th, 2011 bearing the sacred relic in a gold-and-silver filigree casket. They had journeyed from the holy island of Mount Athos where there was little scope for their relic’s gift of fertility. The monks ban women from their island and, to keep them from seeking substitutes, they also forbid all female animals larger than a chicken. 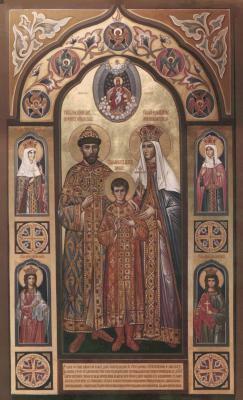 The tsars made the Russian Orthodox Church a government department. The Communists severed that connection, but a new one has been formed: the last tsar and his large family are now Orthodox saints. In Russia today many compare Prime Minister Putin with the tsar, and mean it as a compliment. 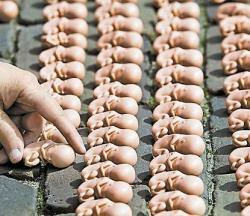 The campaign to get women to reproduce has been prompted by the demographic slump since the collapse of the Soviet Union in 1992. This led to a fall in living standards and increased uncertainty, which discouraged people from having children. Despite this, Russia’s birth rate is still somewhat higher than that of Western Europe. The way to reduce the carnage is clear and it has even been successfully tested. In 1985, Mikhail Gorbachev, the last General Secretary of the Soviet Union, simply closed most wineries, vodka distilleries and liquor stores. Overall consumption decreased by a third in two years, and total Russian mortality rates fell by 12%. It is estimated that between 1986 to 1991 Gorbachov’s measures spared the lives of 1.22 million Russians. in addition, the birth rate rose, life expectancy increased, wives started seeing their husbands more, and work productivity improved. However, in 1992, with the end of the Soviet Union, the state’s monopoly over alcohol was repealed, alcohol became freely available again and consumption rebounded. The solution to Russia’s demographic katastroika was as clear to Prime Minister Putin as it had been to Gorbachev. In 2006 he devoted a quarter of his annual address to the nation to what he called “the most acute problem facing our country today”. The solutions he advanced before the public sounded eminently reasonable: “First, we need to lower the death rate. Second, we need an effective migration policy. And third, we need to increase the birth rate”. Finally, to boost the birth rate, Putin proposed tackling the reasons for womens’ reluctance to bear more children: “They include low incomes, inadequate housing conditions, doubts as to their own ability to ensure the child a decent level of healthcare and education, and — let’s be honest — sometimes doubts as to whether they will even be able to feed the child.” He did not mention that often the poverty of women was due to their husbands drinking themselves to an early death. In his speech Putin did not mention the coercive methods of increasing the population that were already underway. In 1992, right after the dissolution of the USSR, anti-abortion groups inside and outside Russia made their first attempt to join forces. The new movement soon gathered steam and a decade later gained a powerful ally. This was Vladimir Yakunin, a long-time Putin supporter who heads the national railway. Wherever Yakunin goes by train the station’s employees line up on the platform, stand at attention and salute him. It was this railway tsar who sponsored the tour of the Virgin’s belt right before his friend’s re-election. Of course, if the Russian state really wanted to reduce the risk of infertility, it would introduce safe modern methods of abortion and, above all, provide access to reliable the contraception which would reduce the need for them. Even stricter rules — eliminating state support for all abortions, banning over-the-counter sales of the morning-after pill and requiring young women under 18 to get the consent of their parents and married women to get permission from their husbands — were left out of the autumn 2011 law after polls showed them to be unpopular. At the end of 2011 another bill was proposed in the Duma calling for the criminal prosecution of doctors who end late-term pregnancies, but it faced government opposition and was quietly withdrawn, as well. However, the current campaign against abortion appears to be meant to erode the remaining resistance and make it possible to bring in these measures later. In 2013 the head of the State Duma committee for family and children, Elena Mizulina claimed that abortions and surrogacy threatened to wipe out the population in Russia, and the world as a whole. This is the committee that is presently drawing up an ambitious plan for increasing reproduction called “Concept of State Policy on the Family”. These new policies on women and gays turn out to be not that new, after all. Russia has been here before. In 1933 Stalin made male homosexuality a crime punishable by up to five years in prison with hard labour. Three years later he banned abortion. This was to stimulate the production of workers, just as he set targets for the production of other goods. His widely resented decree was dropped after his death. Putin now appears to be trying to re-instate Stalin’s abortion ban, but in a gradual manner that does not provoke as much opposition. He is using a state-supported youth group to instil his anti-abortion message, just as Stalin did, and he is even extending this to contraception. Religion can also be used to flatter women and sugar-coat the increasing restrictions on their reproductive rights. 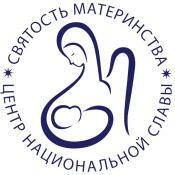 The logo of the “sanctity of motherhood” says it all. The Russian mother has sprouted the wings of an angel at the same time as she is losing the reproductive rights of a human being. After all, angels don’t need rights. 56. Figures for the US, which has modern abortion methods, indicate that this is 14 times safer than giving birth, hence the conservative claim in the text.